This is my very first post. Welcome. By creating this blog space I wish to share my life, my journey, with those who have similar interests, hardships, relationships etc. in hopes that perhaps by sharing I can inspire or encourage someone else along the way. It is a means of expressing my feelings through my love of writing. I will share poems, short stories and journals from years gone by as well as current day. As a beginning, I’d like to share a little about myself and who I am as a person. I am a forty five year old Christian woman who is a mother, most of all. My passion in life has always been children. I accepted Christ as my savior at the age of fourteen and have tried to live for him, as best I can, ever since. I love the country. Rivers and sunsets give me a peace like no other. Driving past freshly plowed fields, cow pastures, the sent of freshly mowed grass, wearing my flip flops or going barefoot in the summer, there’s nothing like it. I enjoy making memories with my family, picnics, vacations, games, plays, musicals, music, dancing. I love most all animals. The love of animals and young children are by far the most unconditional love I have ever experienced, except for the love of my Savior. I have been married and divorced twice, both times ending with my spouse being unfaithful. My hardships have made me stronger, yet perhaps a little bitter. My elderly parents live with me and I am becoming their sole caregiver, which is a task like no other. I like simplicity and organization, although life seems to complicate and get chaotic all on its on. That’s why this thing called life is called a journey. We venture into uncharted and unplanned territory and learn how to find our way. We venture off the path from time to time, but somehow end up back on track. Some of my paths, you may find yourself on as well. I hope you can learn from my mistakes, and be enlightened by my choices, and be encouraged by my experiences. 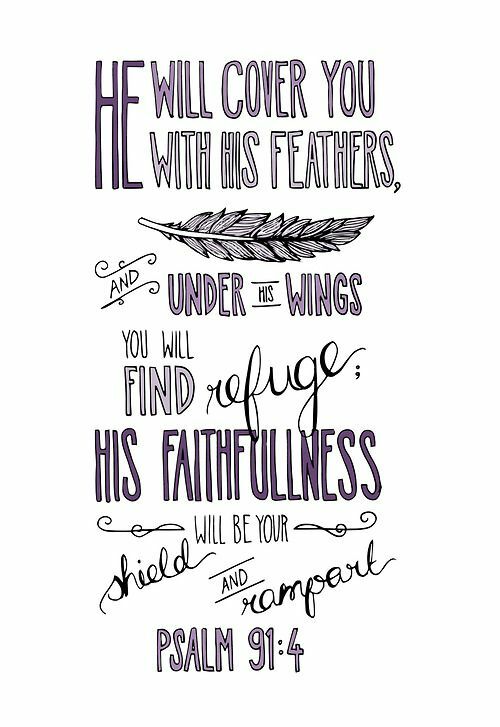 My favorite bible verse is Psalm 91;4. God has and will always be my refuge. I remember the first time I saw a hen with her baby chicks hidden underneath her wings. It really made this verse come alive to me. I often envision myself running to my savior, hiding underneath his love and care.